What’s missing from Hong Kong’s coworking scene? As Hong Kong’s coworking scene continues to grow, (it grew to nearly 30 new spaces in 2 years, wow!) old and new spaces alike will face greater competition and will need to look for ways to innovate. Innovating is about rethinking all the existing rules of work, combining old and new in unexpected ways, and about being aware of the changing needs of workers in the 21st century. If you are running a coworking space or thinking of opening a new one, you need to be asking yourself this one important question – what can you offer that makes you different? Here are some of the most interesting coworking trends happening at the moment, across the globe. In recent years, considerable importance has been placed on achieving harmony between raising a family and having a career. Coworking spaces with childcare areas are, as a result, proving to be increasingly popular; not least because they help improve the life/work balance of busy parent-entrepreneurs. There are now a number of such places around the world that popped up in recent years. In today’s digital age, it’s not unusual for people to conduct their business across large distances. Whilst most business can be managed online, there will inevitably be occasions where travel is necessary. Coworking spaces that provide on-site accommodation offer a wonderful perk for entrepreneurs who don’t want to commute far after a long day at the office. 3-D coworking Space – Mak3d is a a coworking space for 3-d designers. Most entrepreneurs will agree that wanting a better quality of life is why they went into entrepreneurship in the first place. Here are some examples of coworking spaces that are adding incredible ‘extras’ to improve the quality of life for their members. Fitness + coworking. Brooklyn Boulders – This space in Massachusetts has an on-site gym and a climbing wall. Video blogging studio, dry cleaning services, massage day. Free Range, Chicago. Wonder if they got these ideas from Google? Highly exclusive, (read expensive!) luxury coworking space with on-site restaurant and posh environment $1,600 USD. Neuehouse, New York. They plan to open up 20 locations around the world by 2020. For workers on a tight budget, free coworking spaces are incredibly appealing. Free coworking spaces, we hear you say? Believe it or not, we found a few and it looks likely that free coworking spaces will soon start popping up in Hong Kong. Although space is expensive, companies will do it for exposure. 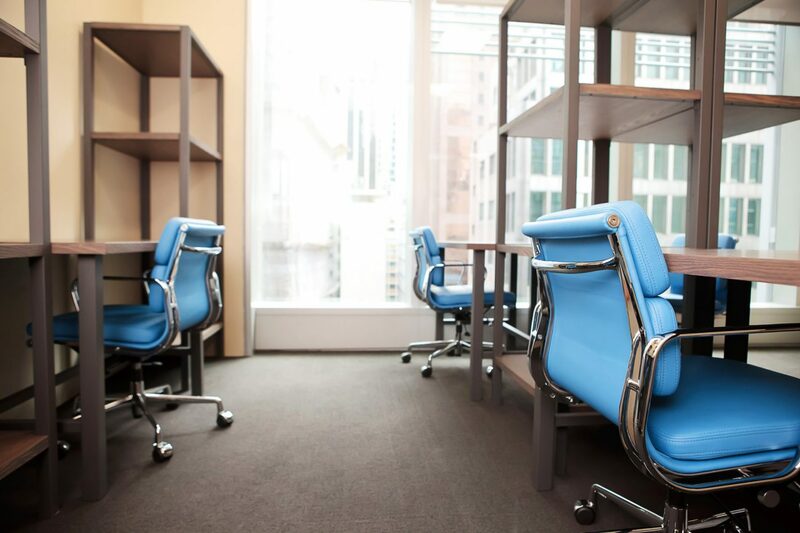 Wix Lounge in New York offers free desk and event space for entrepreneurs. They’ve been opened since 2010, and no doubt this has been an excellent platform for them to promote their product.